Apple has steadily been growing its laptop market by adding new variants to its MacBook series every year. Their goal with MacBook is to do the impossible: engineer a full‑sized experience into the thinnest, lightest Mac notebook yet. And not only is it compact — it’s more powerful than ever. The MacBook Air is thin, light, and ready for anything. Whatever the task, fifth-generation Intel Core i5 and i7 processors with Intel HD Graphics 6000 are up to it. From editing photos to browsing the web, everything happens ultra-fast. And all that power is encased in an incredibly thin 1.7-centimetre unibody design that weighs only 1.35 kilos. It lets you kick back and relax. The MacBook Pro on the other hand is a touch of genius. Its razor thin, feather light and even faster and more powerful than before. It has the brightest, most colorful Mac notebook display ever. And it features the Touch Bar — a Multi-Touch–enabled strip of glass built into the keyboard for instant access to the tools you want, exactly when you want them. With such a fancy device at hand, who wouldn't want to flaunt it around? But taking proper care of your MacBook while doing so is the need of the hour and also comes at a price. That's where Hamee India comes into play. The brand has a wide array of cases and covers for MacBook Air and MacBook Pro. Prop your MacBook on your desk and watch all eyes turn towards it as it dazzles in a swanky MacBook Shell Case from Hamee India. Available in three variants - matte black, matte maroon, and crystal clear, these cases take your style quotient a notch higher. If you're looking for a case to carry around then you can opt for the sleek leather MacBook Cases that Hamee India has to offer. These MacBook sleeves have a soft lining to make sure that your MacBook doesn’t get scratched or scuffed while using the case. 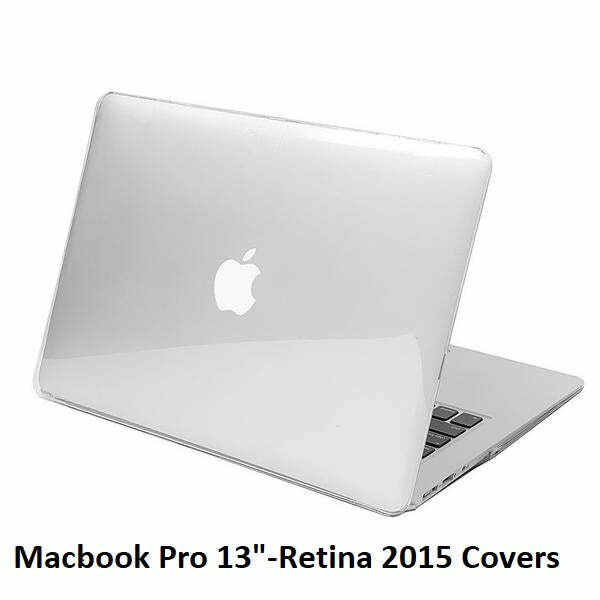 The magnetic closure keeps the device snugly fit and also adds a layer of protection to it. Customize your case as you please by adding your name for a personal touch. A MacBook Pro Cover with a witty quote is great for college goers, while a pretty mandala print will complement the aura of a sassy working woman. Get spoilt for choice while browsing the amazing MacBook Case online collection that Hamee India has to offer. The brand also offers combo sets for complete protection of your MacBook. Each combo includes a MacBook Case along with a MacBook Keyboard Cover. Hamee India never compromises when it comes to providing accessories for the best devices in the market and neither should you when you purchase them. So go ahead, lay your hands on the best technology the laptop market has to offer! Buy MacBook covers from Hamee India today!